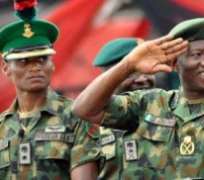 President Goodluck Jonathan has expressed delight over Nigeria's election into non-permanent seat of the United Nations Security Council. This is contained in a statement issued in Abuja on Thursday by the President's Special Adviser on Media and Publicity, Dr Reuben Abati. Nigeria got 186 out of a possible 193 votes to clinch the seat on Thursday at the UN headquarters in New York. The statement quoted Jonathan as conveying his sincere appreciation to all those who voted for Nigeria. “The President believes that today's endorsement of Nigeria's candidature for the Security Council seat by the vast majority of member-countries is a growing expression of support and encouragement for Nigeria's active participation in the promotion of peace, security and political stability in Africa and other parts of the world. This is the fourth time since it became independence in 1960 that Nigeria is being elected to the UN Security Council. It is also the second time (2010-2011 and 2014-2015) that Nigeria will be elected to the council under the Jonathan Presidency.